Sony Computer Entertainment CEO Andrew House wants gamers find new "quirky" indie titles with the help the PlayStation Plus. In case you haven't heard, PlayStation Plus is a pretty nifty service. While it does require an annual fee to use it consistently, it also come packaged with useful features like content discounts, cloud storage and, perhaps best of all, free games. Whether you own a PS3, PS4 or a Vita, having a PS Plus membership pretty much ensures that you'll usually have something decent to play at most given moments. As useful as the service can be for gamers however, Sony also sees it as a potential tool for its ever growing stable of affiliated indie developers. 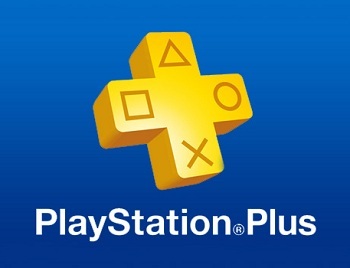 "With PlayStation Plus, we've almost stumbled upon a great way to connect independent games developers with an audience," said Sony Computer Entertainment CEO Andrew House. "From what independent developers tell me, the mobile space is an increasing struggle for those looking to find an audience, so we have the opportunity to give two things to independent games developers. One is an opportunity to stretch their legs creatively, with differentiated interfaces and a big-screen experience. And the second thing is to connect them with an audience." House believes that PS Plus's Instant Game Collection has helped direct many gamers to "new, quirky experiences that maybe they wouldn't have come across." In turn, bolstering that experience and helping to point gamers to PlayStation-based indie games will be "a very strong area of emphasis" for the company going forward. Honestly, that's more than fine by us. If Sony wants to give us more free indie games to play with we're certainly not going to argue.